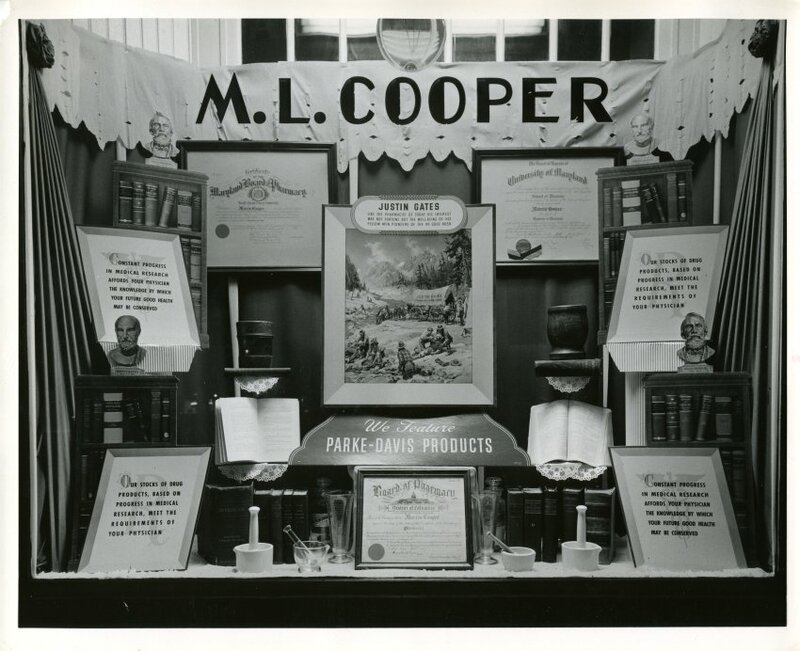 This display in M. L. Cooper Pharmacy’s window advertises that the store carries Parke-Davis products. 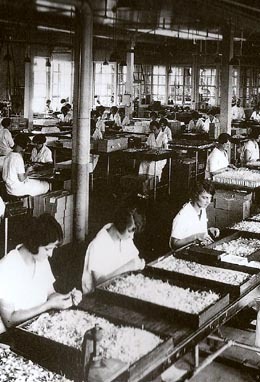 Parke-Davis was founded in 1866, and in 2000 it became a subsidiary of Pfizer, a well-known pharmaceutical company. Parke-Davis and Company is credited with building the first modern pharmaceutical laboratory and developing the first systematic methods of performing clinical trials of new medications.